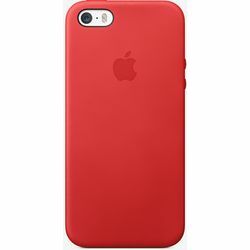 The iPhone 5s Case is the perfect complement to your iPhone 5s. It fits exactly as it should. It feels comfortable when you hold it. And it helps keep your iPhone 5s in mint condition. Premium leather feels soft and buttery and offers excellent protection. And the pigment-rich dye is infused into the leather, creating colour that is more than just surface deep. Designed to follow every hole, button and curve of your iPhone 5s, the case has an extremely thin and light profile. Even the holes on the bottom are cut to exact specifications with a high-speed drill normally used for cutting circuit boards. The soft, colour-matched microfibre lining helps keep the finish of your iPhone 5s looking beautiful. The iPhone 5s Case is the perfect complement to your iPhone 5s. It fits exactly as it should. It feels comfortable when you hold it. And it helps keep your iPhone 5s in mint condition.A whole new texture.Premium leather feels soft and buttery and offers excellent protection. And the pigment-rich dye is infused into the leather, creating colour that is more than just surface deep.Fit and trim.Designed to follow every hole, button and curve of your iPhone 5s, the case has an extremely thin and light profile. Even the holes on the bottom are cut to exact specifications with a high-speed drill normally used for cutting circuit boards.Microfibre lining.The soft, colour-matched microfibre lining helps keep the finish of your iPhone 5s looking beautiful.